Used Car Tyres - A Trash or Treasure? Until recently, the world has considered used car tyres as a type of trash, until a few years ago we've been shown a new way of looking at tyres, which makes them a treasure in a new wave building biotecture. If you haven't yet heard - the world is being taken up by a storm, which is being led by a formally trained architect, also known as the Garbage Warrior - Michael Reynolds. Under the leadership of Michael Renynolds, there has been established a new technology in architecture, called Biotecture, where houses are being built from the recyclable materials. At the heart of the design of these sustainable buildings is the re-use of the old car tyres, which are being pumped with soil and used as the base for walls. The houses build from tyres and other recyclable materials such as glass bottles are called earthships and the use of tyres and soil enable the house to stabilise it's own temperature, thus being completely self-sustanable and off the grid (i.e. not linked to any gas, electricity, water or other utilities). 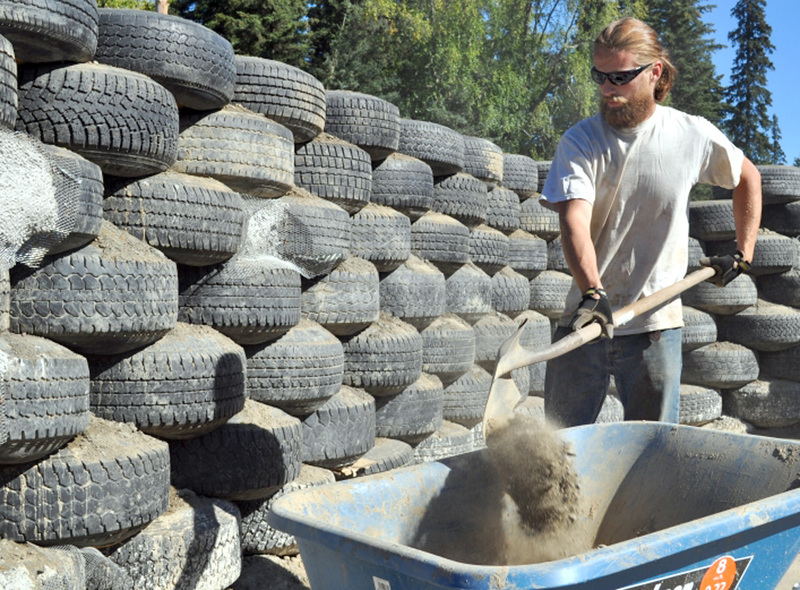 Some countries have already caught-on to this revolution and the agreements have been made between landfills and earthship builders to re-use old tyres in these building activities. Australia is catching up, as there are a number of groups in NSW, QLD and VIC who have attended the seminars from EarthShip Biotecture and are under way of building their own sustainable houses.